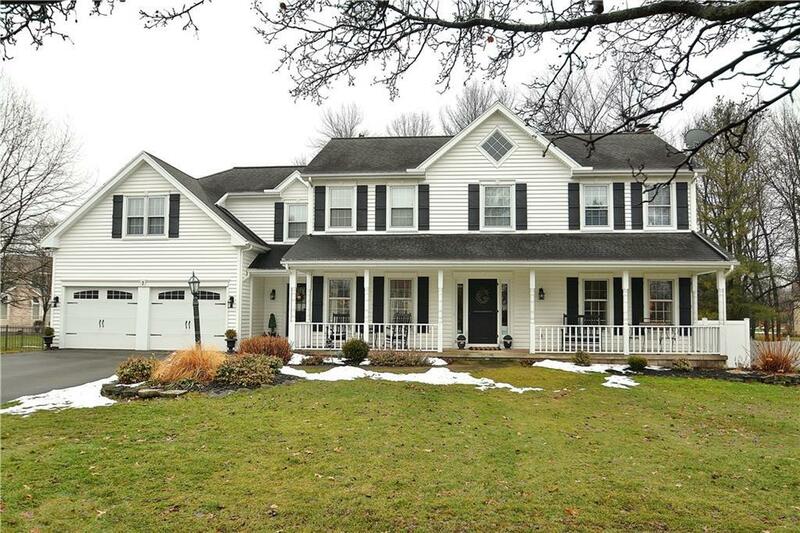 Welcome home to this lovely Pride-Mark built 4 bedroom, 2.5 bath colonial complete with an open front porch! Discover beautiful hardwood floors, a formal dining room, and eat-in kitchen with center island that opens to the family room with a cozy wood-burning fireplace! Enjoy summer days in the backyard in-ground pool with patio, deck, & gazebo. Benefit from the convenient first floor laundry room, security system, attractive paint palette, expansive lower level rec room, and 2.5 car garage! A/C New in 2016. Hot Water Heater in 2013.